For reliable stopping power, the TT-R110E has drum brakes at the front and rear, and their simple design makes for easy maintenance. Special off-road pattern tyres make this mid-sized youth bike a strong performer in the dirt, while the 14 inch front wheel and 12 inch rear wheel help to handle uneven terrain. 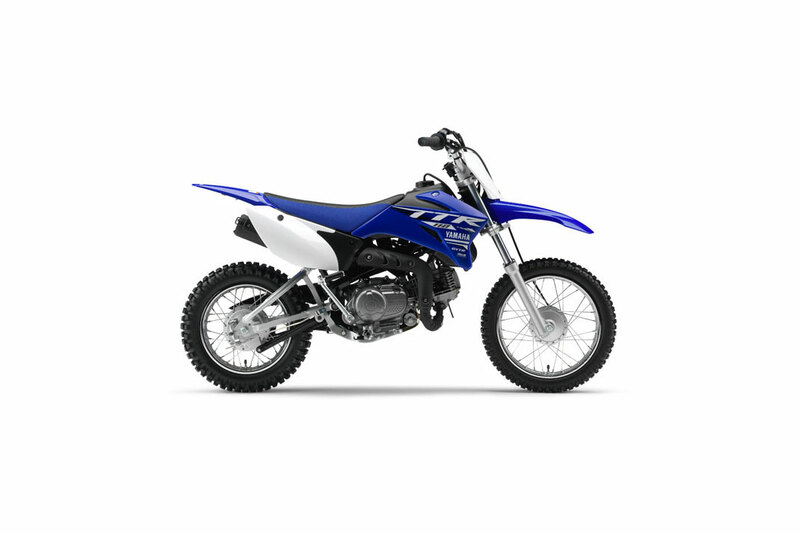 The TT-R110E's rugged and reliable 110cc 4-stroke engine has been designed for smooth and strong performance, making this mid-sized youth bike a joy to ride. 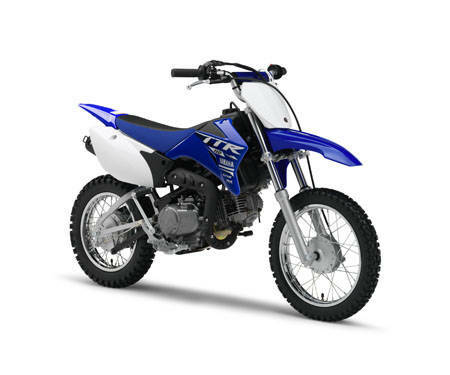 And with its semi-automatic 4-speed gearbox, the TT-R110E is an ideal choice for new and experienced riders. Check out the TT-R110E's bodywork and it's clear that the radical lines of this stylish 4-stroke have been inspired by our MXGP-winning YZ race bikes. Finished in our world-famous racing-blue colour scheme, the fenders and fuel tank panels are made from ultra-tough polypropylene for minimum weight and maximum strength. The TT-R110E is equipped with rugged suspension systems that are designed to ensure riding comfort and easy handling when riding off-road. 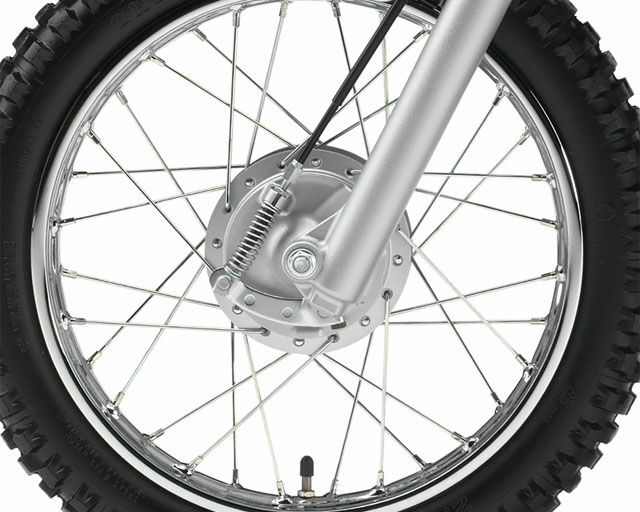 At the front, the sturdy telescopic forks give 115 mm of wheel movement, while the single-shock monocross rear suspension offers 110 mm of smooth and progressive travel.